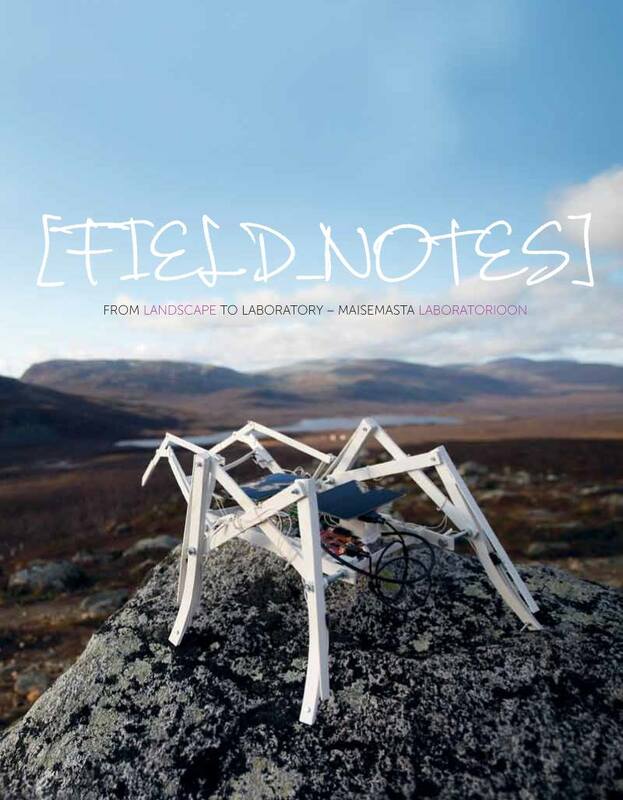 This publication is the result of “Field_Notes – Cultivating Grounds” field laboratory which took place in 2011 in Kilpisjärvi. It is a hardcover book, bilingual in Finnish and English and contains 17 articles and additional material of Finnish and international contributors on 256 pages. Every second year the Finnish Society of Bioart invites a significant group of artists and scientists to Kilpisjärvi Biological Station (run by the University of Helsinki) in Finnish Lapland, to work for one week on topics related to art, biology and the environment. “Field_Notes – From Landscape to Laboratory” is the first in a series of publications originating from this field laboratory. It emphasizes the process of interaction between fieldwork, locality and the laboratory. Oron Catts, Antero Kare, Laura Beloff, Tarja Knuuttila amongst others explore the field and laboratory as sites for art&science practices.